This deluxe edition presents three of the most popular books by a beloved storyteller. Thornton W. Burgess's timeless tales of woodland whimsy recount the exploits of Reddy Fox, Peter Cottontail, and Grandfather Frog. Featuring the original art by Harrison Cady, the stories offer young readers examples of friendship, honesty, forgiveness, and other virtues. Many of his outdoor observations in nature were used as plots for his stories. In his first book, Old Mother West Wind, published in 1910, the reader meets many of the characters found in later books and stories. These characters include Peter Rabbit, Jimmy Skunk, Sammy Jay, Bobby Raccoon, Joe Otter, Grandfather Frog, Billy Mink, Jerry Muskrat, Spotty the Turtle and of course, Old Mother West Wind and her Merry Little Breezes. 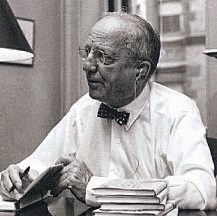 For the next fifty years, Burgess steadily wrote books that were published around the world in many languages, including Swedish, French, German, Spanish, Italian, and Gaelic. Collaborating with him was his illustrator and friend, Harrison Cady of New York and Rockport, Massachusetts. Cady gave us the familiar form of Peter Rabbit and other animal characters that we recognize today. 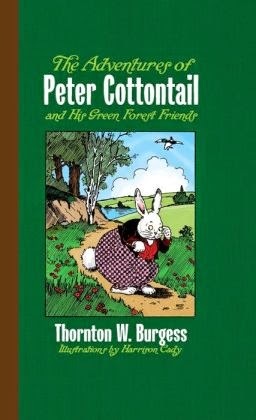 This new edition of Thornton W. Burgess' beloved tales is an unabridged republication of three books: The Adventures of Reddy Fox, The Adventures of Peter Cottontail, and The Adventures of Grandfather Frog. Originally published by Little, Brown, and Company in 1913-1915, these stories that have followed us through generations have been resurrected in a fresh compilation that you can read consecutively to your child or young class for maximum readability. Thornton W. Burgess was born native of Massachusetts and began writing children's books in 1910. Ever since he was young, Burgess had a deep appreciation for nature and the endless possibilities it offered. This is reflected in his work and is shared across generations. He brought both children and adults to nature through an array of stories, especially his most famous character, Peter Rabbit. His legacy and philosophies live on through the Thornton W. Burgess Society, who operates the Green Briar Nature Center, Thornton W. Burgess Museum in Sandwich, MA, and inspires environmental education through several other mediums. I would highly suggest checking it out. The Adventures of Peter Cottontail and His Green Forest Friends is the perfect book for any child's library. They will be entertained by the human-like critters and their many adventures. Any child will enjoy the many escapes into nature and the lives of Burgess' forest friends. The stories and chapters are short for the active reader, and there are plenty of pictures to help them visualize the stories and keep their attention. One thing I love about this edition is that it includes all the original illustrations from Harrison Cady. They are very simple and clear so they are very easy on the young eye. There is also a list of the illustrations after the contents, so if you want to simply refer to the images, you have the opportunity to do that. I would definitely recommend this as a staple piece to any children's library. If I were to change one thing about it, I would say that it would be beneficial to add some kind of educational tool like questions about the characters or nature at the end. Other than that, I really enjoyed this book!